What is this "feeling" of Christmas? and why do people seem to smile more this time of year? 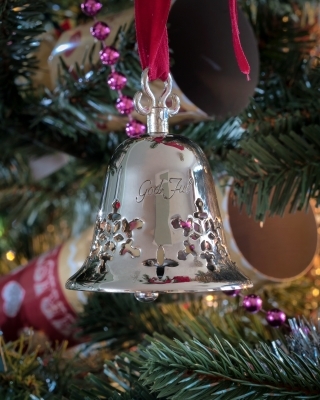 I freely admit that Silver Bells is one of my favorite Christmas carols. Despite the fact that it doesn't mention the Reason for the season, I think it's lyrics and soothing melody point to the unique spirit that diffuses the air this time of year. Whether or not you Believe, whether or not you celebrate there is a magic and mystery this time of year that touches even the coldest of hearts. Do you sense that the veil between heaven and earth is thinner this time of year? Could that be because more people are focused on Giving and Goodwill toward their fellow man? Could it be that His presence is felt more acutely in the world this time of year because more of His people are focused on His Person? 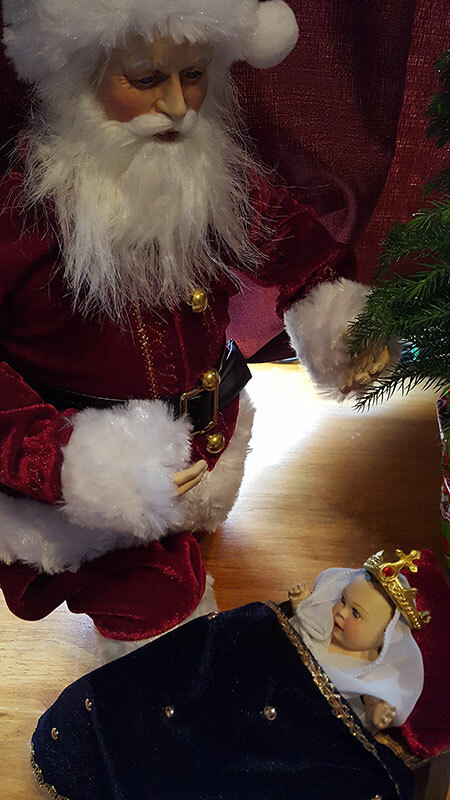 The city's busy sidewalks and strings of streetlights may be Santa's big scene, but even this jolly old elf bows his knee at the cradle of the King. What might happen if we met each and every day with the expectancy of Advent?